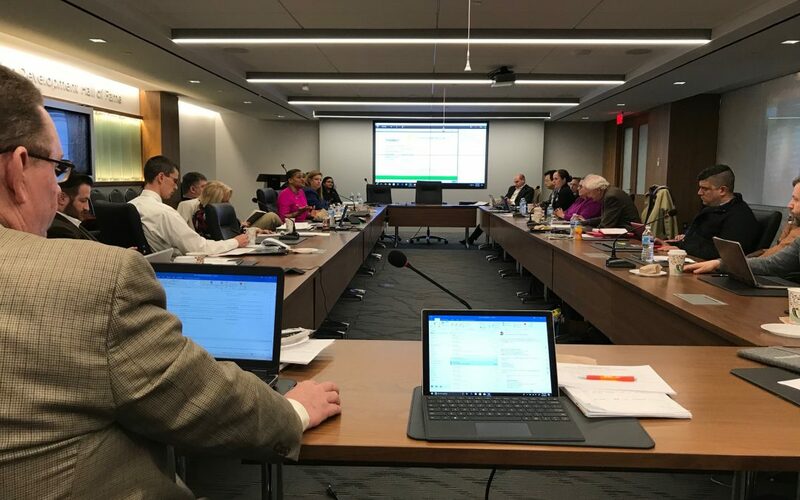 Dozens of national construction safety leaders gathered this week at ARTBA headquarters in Washington, D.C. to set research goals and plan safety programs for the building industry. Under the leadership of the National Institute for Occupational Safety and Health (NIOSH), a new action plan is created every 10 years through the “National Occupational Research Agenda” (NORA) program. Unveiled in 1996, NORA is now in its third decade with an enhanced structure of 10 industry sectors based on major areas of the U.S. economy, plus seven health and safety cross-sectors organized according to the major issues affecting U.S. workers. The National Fall Prevention Stand Down, which for the past five years has promoted fall prevention on construction sites, is a notable initiative of the NORA Construction Sector Council. Nearly 2.5 million workers have been reached through this effort. This year’s event is May 7-11. To create agendas, diverse parties meet in councils and identify critical workplace safety and health issues. Partners then develop broad strategic objectives for research to address those needs. Once agendas are in place, councils work on those areas through information sharing, partnerships, and dissemination and implementation of evidence-based practices. Participation in NORA is broad, including stakeholders from universities, large and small businesses, professional associations, government agencies, and worker organizations. ARTBA has hosted the NORA Construction Sector Council meetings for the past six years, providing key support to the effort. The association also participates as a council member.